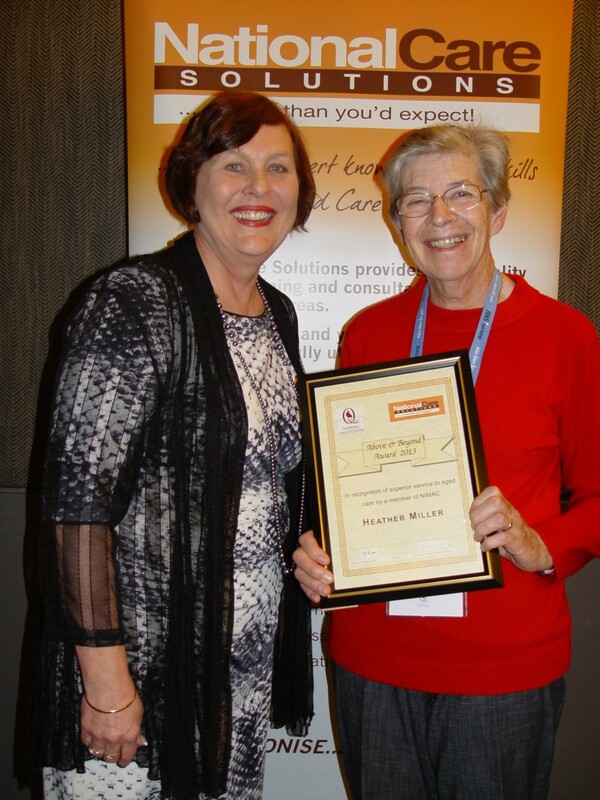 Judy Ivory, CNC, Lutheran Community Care, Wahroonga, accepts the” Above and Beyond Award” from Lyn Turner at the NIMAC 2013 Conference on behalf of Lynda Richardson (below) who was unable to be present. In 2009 the first awards were presented as a result of the Director of National Care Solutions, Lyn Turner, noticing that there were many, many, examples and demonstrations of good care and exceptional effort by staff at all levels across the industry. The outstanding efforts had largely gone unrecognised because of the nature of the quiet achievers involved. 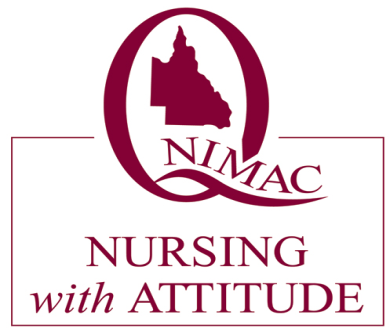 Lyn, through her business National Care Solutions has partnered with NIMAC to recognise and reward the people we work with everyday who go well beyond the bounds of their position descriptions. These people deliver exceptional care to our residents and clients. Many of them are in management, but some are also found among our care staff who well and truly walk the talk through their affirmative actions with all staff. In most cases they do this because that is their nature and not because they expect any recognition or reward. It is rare that we as an industry get an opportunity to recognise some of these outstanding people as our peers. Through this award , now in its 5th year; ”The Above and Beyond Award” our recipients are recognised at the NIMAC conference at the Gold Coast for their exceptional commitment to the industry and the people whose care we are entrusted with. The awards are jointly sponsored by NIMAC and National Care Solutions. Each winner is presented with a cheque for $500 made out to them personally in recognition of their outstanding achievements in the Aged and Home Care industry. 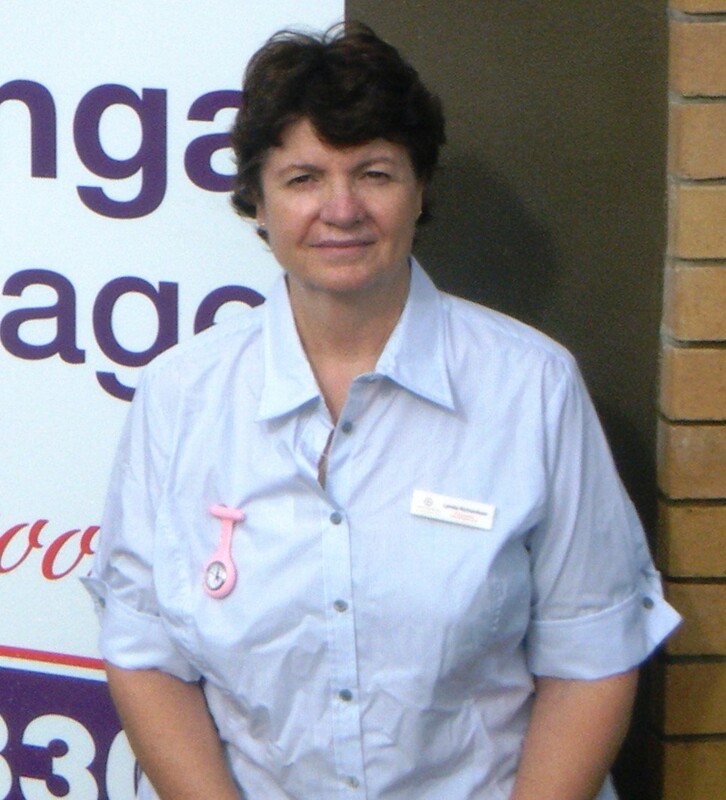 Lynda Richardson has been employed as an Assistant in Nursing at Wahroonga Retirement Village since November 2007. Wahroonga is a Lutheran Community Care facility located in central Queensland at Biloela. Wahroonga has 65 residential aged care beds, a day therapy centre & 9 ILU’s. Lynda started at Wahroonga as an AIN but it became apparent to everyone very soon after she started that there was a lot of potential for this AIN to achieve great things. Lynda’s caring and compassionate manner and her quiet leadership skills saw her move into the role of Team Leader followed by the position of Co-ordinator, the position she now holds. Lynda works under the guidance of the CNC and the duty RN to co-ordinate the 16 bed secure Dementia Unit. Lynda is extremely committed to her work and her residents, often putting in long hours to achieve a most serene and settled environment. Lynda has successfully created a harmonious home for her residents, many of whom have challenging behaviours. Testament to the atmosphere Lynda has created have been the requests from several people in town to be able to have their end stage palliative family members nursed in the dementia unit , just because of the serenity of the unit and the kind caring staff. Wahroonga stands on 24 acres of land with the residents enjoying a very rural aspect complete with cattle and paddock views. Wahroonga is the only retirement village in town with access to allied health and a day respite program. It is situated about two hours’ drive south of the busy regional centre of Rockhampton. Lynda’s nominator and 2 referees, Lorna Perrett, the manager of Wahroonga, Judith Ivory, CNC, and Terry Arthur, Regional Manager all praised Lynda’s commitment and compassion as well as her leadership qualities. Heather Miller accepts the Above and Beyond Award from Lyn Turner, Director, National Care Solutions at the 2013 NIMAC conference. Heather Miller is a long term employee of Clifton Co-op Hospital. Heather has been working at Clifton since 1986, firstly in the role of RN and currently in the role of Director of Nursing. Heather is also long time NIMAC member and supporter. The facility consists of a 15 bed low care section, 23 bed high care , and 12 bed hospital having grown over its nearly 65 year history. There is also a medical practice located within the complex. It is operated by a volunteer Board made up of members of the community. The township of Clifton is located at the Southern end of the Darling Downs with a population of 2,500. Of these people 370 are aged 65+. The complex is the town’s largest employer, employing over 50 people. Heather has overseen many changes at the Clifton Co-op hospital in her years there. She has always worked with her staff and residents to ensure they are the first priority in coming along with her and the Board in the planning of any changes. In coming from quite a small town there are of course high community expectations for the DON at any establishment such as Clifton Hospital. Heather has stepped up to meet and exceed these many times over. For example, there is now a Meals on wheels service which is run out of the complex as well. This was as a result of community need and has been incorporated into the ever expanding role the DON, Heather has needed to take on. Heather also plays an active part in the community, being a member of the local disaster management committee. Currently Heather is overseeing the construction of a Diversional Therapy room which will accommodate 250 people. This will be the biggest function room in the town and part of its role will be to bring the community together. Heather also meets regularly with groups such as the women’s auxiliary to stay in touch. Of course if there are ‘gaps’ in the roster and a RN is needed…. who fills this … Heather. Heather is always available for ‘chat’ for members of the community or others who ‘drop in’. She has a very much open door policy even though this sometimes results in her own work being put off until long after she should have gone home. Clifton c-op hospital has received glowing reports from all accreditation agencies. The hospital is of course under a different regulatory system to the Aged Care section. Visiting doctors, physios and the general public constantly make positive comments about the caring atmosphere they find at Clifton. Staff are always offered opportunities to attend education and TAFE students as well as others benefit from Heather’s long years of experience as both a practicing RN and a Manager. Heather was nominated by her staff and her 2 referee’s, Judy Rickert, Secretary of the Board and Joan Thornton, an EN on staff at Clifton who gave glowing examples of Heather’s Above and Beyond Qualities, mentioning her, sense of humour, her attention to detail, her wealth of knowledge to be shared, her tolerance, and her valued guidance in “all things Clifton”, definitely going Above and Beyond.